People with good immune system may not face health problems whatever they eat and wherever they go. But according to changed life style and living conditions, immunity is lowered. With changing season they will face health problems. 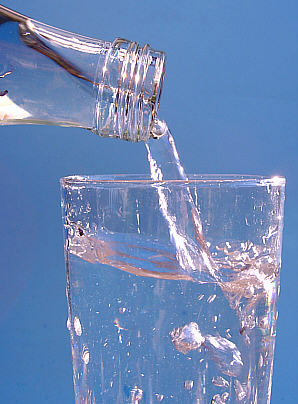 Due to increasing temperatures you will feel thirsty and drink lot of cold water. This may result in throat pain. Until now you faced cold, running nose, body pains in winter season, now almost 90% of winter is gone. There is rapid increase in temperature and care should be taken to face the heat from the scorching sun. There is an increase in sales of cold drinks in the past two weeks. Some of the drinks which are sold on road sides may be made of polluted water. Consuming this kind of water may result in diarrhoea and frequent vomiting. Some of them even result in food poisoning. If you look alternatives to fulfil your thirst other than with water, you may at risk. Follow some simple tips to keep yourself healthy and protect yourself from the burning heat. Many of them fall ill by drinking polluted water in summer. There is abrupt increase in such number of cases past week. Don’t drink water outside wherever you feel like. If you feel water at your home is polluted, boil the water allow it to cool and drink. Drinking water supply may be polluted with sewage water sometimes because of leakage. Be careful about that. Before sleeping you can put chlorine pills, which makes the stored water clean. In summer there will be increase in skin infections due to sweat. Limbs are prone to hyper-hydrosis. Due to increased sweating in the pelvic region, arm pits they are more prone to fungal infections. Stay clean. Hidden mosquitoes of winter will slowly come out in summer. They will rapidly increase in population and will spread malaria, filarial and other related diseases. Keep your house clean as much as possible. Mosquitoes will hide in dark corners during day time. So make sure there is sufficient light in your house. Close windows and doors at dusk coz mosquitoes will enter your home at that time. Use mosquito nets before sleeping. Due to increased heat, you might not be in a mood to eat food rather you will be more interested to drink water, cold drinks or any other soft drinks. Stay away from polluted drinks and polluted water. Drink purified water instead of drinking water on roadsides. Take purified water bottle from home before going out. Use sun screen lotions and moisturisers to protect your skin. Cover your hair with scarf or wear helmet while driving. Try maximum to avoid eating outside. Eat a fruit instead of having a fruit juice outside. Fruits with peel are very healthy. Do swimming at least twice a week. Avoid exposure to sunlight during mid-days which is too bad. Wear full length gloves while driving. Use dark shaded goggles.